100% compostable paper cups are made with a vegetable-based inner lining that holds hot liquids and prevents leaking. 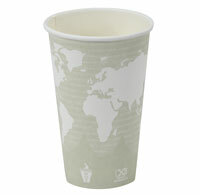 Choose from Green Stripe or World Art design. Meets ASTM D6868 specifications. Not recommended for use in microwaves. 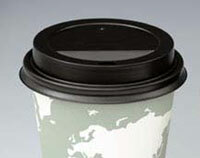 Lids sold separately and are not compostable. 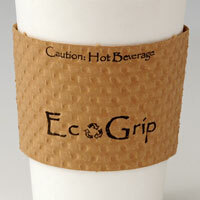 Eco-friendly cup sleeves and wooden stir sticks also available. Custom printing available.